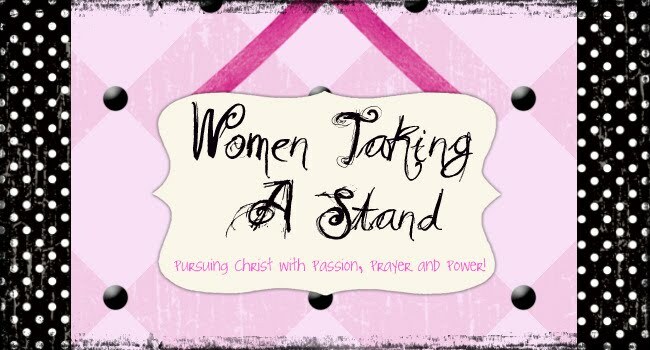 WOMEN TAKING A STAND: THANKFUL THURSDAY... what time is it? THANKFUL THURSDAY... what time is it? As another school year comes to a close, I am reminded just how precious time is. It just seems like yesterday that my boys were going into high school and now they are grown and living on their own. Oh how time has slipped on by quickly and now our daughter, the youngest, will be in high school next year. Just 3 short years left with her. Now is a time that I wish "time" would just slow down a bit. But time has a way of passing by quickly. Time is a "nonrenewable" gift from God. But sometimes, we treat our time here on earth as if it weren't a gift at all. We invest our time in trivial pursuits and we tend to waste time by putting things off until the last minute. It may seem like it doesn't really matter what we do with our time, because we have all day, all year or all of our life to accomplish things. Truth be told, just like the time is short before my daughter is grown, our time here on earth is short as well. If my time here on earth is limited, not only do I want to be doing the things that God is asking me to do but I want to be found busy spending my time with Him! Talking with Him. Trusting Him. Worshipping Him. I am so thankful today that He has given me time to spend with my family and time with Him. Isn't it time to get busy worshipping Him? Our time on earth is limited ... so if we don't use it, we will lose it! Today is THANKFUL THURSDAY, what are you thankful for? Please share your grateful heart with us and link up your post below. HAPPY TT! Yes, our time on earth is indeed limited and I tend to forget this too. I too want to be doing the things that God is asking me to do and spending my time with Him, talking with Him, trusting Him and worshipping Him. Thank you for the reminder today. I need to learn to cherish the time God has given me to do His will until the day He takes me home to Himself. Thank God for helping your children in their high school. May God continue to bless your time with your family and in walking with Him and serving Him. Happy Thankful Thursday! Good post, Laurie. Time passes quickly and the book of James tells us that our lives are but a vapor. We were reminded of this yesterday when we learned that a friend was killed in a traffic accident, but we know that he is now with the Lord. Have a blessed Thankful Thursday. Thanks for the reminder to make the most of every moment that we have! I was walking with a friend today and we were talking about that very topic - were we living to the fullest or worrying about the stuff of life. Were we thankful or fretful? I pray God shows me the best ways to spend my time on this earth living out my life for Him, enjoying my time with my family and friends. I'm having the same thoughts about my youngest ~ she's starting grade one in September. Today it's exactly 15 weeks until I'm home alone all day, every day. I hate that I used to look forward to that day!! Now it's almost here and I'm already missing her. We really do need to be very deliberate with how we spend our moments. I just finished reading Don't Waste Your Life by John Piper and this ties in very nicely. Sometimes, it's the smallest things that meant the greatest. My Thankful Thursday is posted HERE. I think about this often, trying to best use the time I have here on earth. Heaven will be our vacation, our rest, now is the time to work to further God's kingdom! Amen to that Laurie. Yes, time is precious -- I know I have wasted precious time before, but I try not to any more. Thank you for the reminder that we need to enjoy the time with have with our kids. Thank you for sharing your grateful heart with us and hosting Thankful Thursday this month. very good reminder to spend our time wisely, to make the most we can on the NOW because we can't bring back time. Thank you for sharing your thoughts. Our church just started a study called "30 Days to Live" that deals with this very issue of redeeming our time. I have posted a Thankful Thursday post on my blog. Have a great day! Good post, Laurie. Thank you for hosting "Thankful Thursday". This reminds me of one of my favorite books- The Precious Present. I try to read it every once in a while to put myself back on track. Praise God for the gift of life - and the limited time we have here on earth before joining him for eternity! This reminds me of a book I like to revisit often - The Precious Present. Praise God for the gift our limited time here in earth and eternity with him afterward! I can so relate to this, time goes by way to fast for sure, cant believe my oldest will be heading into his senior year already ! This was a great post as always Laurie, AMEN to it all...The biggest mistake we all make is thinking ~ there is always time ~ Our time here is but a vapor...here today and gone tomorrow. And going faster everyday. We really do have to make the most of it. Have a wonderful week-end. A great reminder for all of us! Thanks for sharing. Hi I am newbie to your blog. I love it! Thanks for your message today it was touching. Hope you will stop by sometime. So true! Time has a way of getting away. 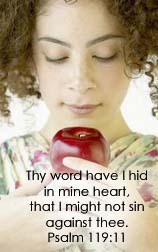 I try to make time everyday for my Bible study time and prayer time with God. But, some days it feels like so much went on and all of a sudden I'm out of time. I need to manage my time with Him just as much as my time with my family. This I am working on! Have a blessed Thursday Laurie! Amen, Laurie! NOW is always the time to worship. His praises continually in our mouths. How very true! Time is precious and we should be very wise and disciplined in how we use it. I'm so thankful for my time with my children as well! I loved your post today. It was, strangely enough, exactly what I needed to hear. Every minute counts, and the minutes that are not spent worshiping God (directly and indirectly through actions) are wasted. Thanks for a great reminder. Yes time flies very quickly. I'm going back to work as soon as my maternity finish. My daughter will be grade 1..Spending time with God is one that I'm working on with my self. Great post. Great post! We all think we have more time than what we really have. Thank you for hosting this month too! Our Father is the Pilot! WEDNESDAY WEEKLY WORD...do you understand? A PIECE OF MY HEART... Measuring up! WEDNESDAY WEEKLY WORD...are you willing?